Finance Solutions | BlackHatWing, Inc. Thriving market of financial products, banks and financial institutions need to ensure that their technology investment maximizes ROI. Financial software products continuously evolve due to enhancements, compliance requirements, technical and configuration updates. At BlackHatWing we offer End-to-End Product customization & testing services to Banking, Financial Services and Insurance organizations (BFSI). Our expertise lies in building agile, reliable and robust systems adapting to market changes. 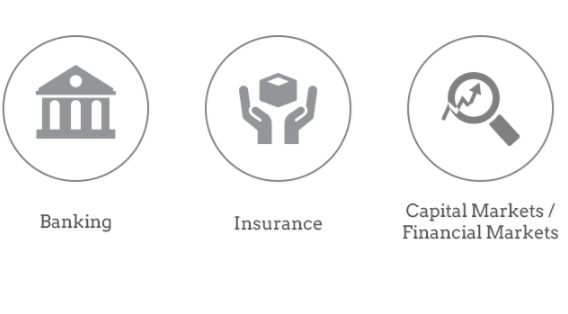 With several years of experience working with the technology-related and crucial challenges facing the financial, banking, and insurance companies, our financial product testing solutions cater for the distinctive requirements and situational parameters specific to BFSI sector. Banking applications are one of the most complex and large software systems in today’s development and testing practice. BlackHatWing brings banking domain knowledge, best practices & methodologies and IT expertise to your organization’s testing challenges. Banks must focus on their areas of specialization and determine their efforts on markets, products and distribution channels they can manage proficiently, employing the right technology to deliver viable business gain. Banking application platform consist of multiple modules including Core Banking, Internet Banking, Financing, Case Management, Leasing, Compliance and Risk, Payment, Cash Management, Treasury, Business Intelligence System, Document Management and, last but not least, ATM and other channels. We guarantee that you gain maximum return on investment with the help of our testing and quality assurance services. With precisely designed testing processes we ensure high test coverage and effective defect removal. Financial applications are complex software applications; hence testing team has to perform combination of manual and automation testing to make sure that all aspects of application are covered. An error in a financial application can cost millions of dollars in losses The testing team has to follow the software testing and quality assurance guidelines strictly. 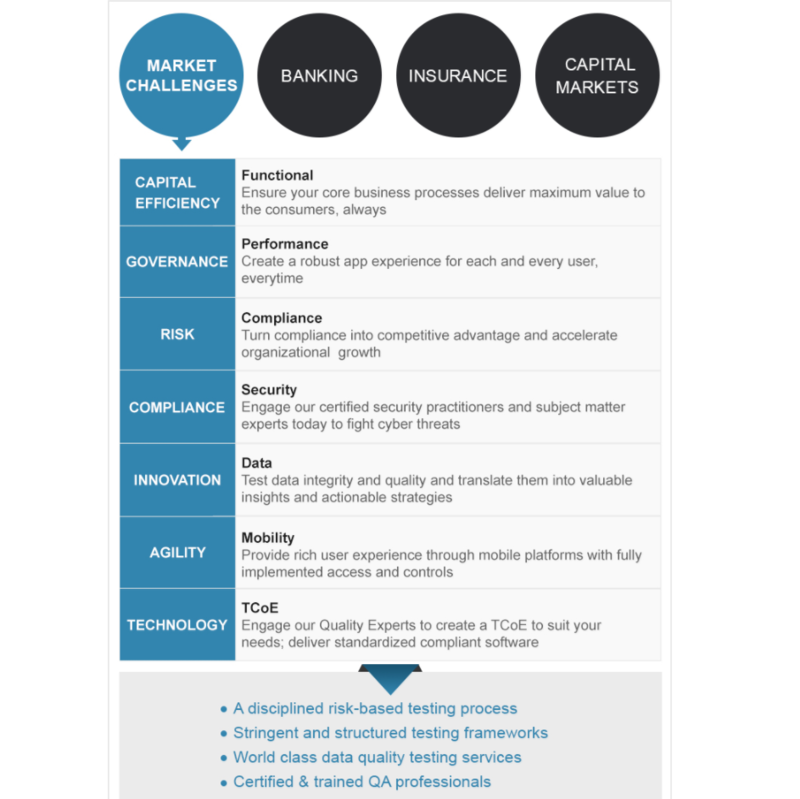 Testing and Quality Assurance becomes central to the financial markets as participants strive to achieve the following through new technology initiatives in 2014 – 15. BlackHatWing uniquely combines the capital market domain knowledge and state of art testing skills to help institutions adapt to changing regulatory and business requirements.